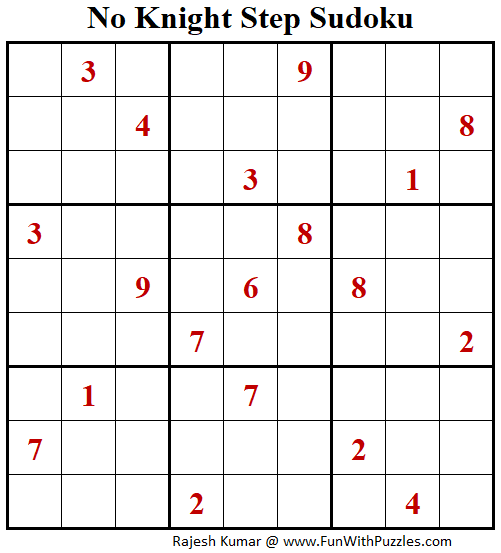 Here is the next set of Sudoku Puzzles. This Sudoku puzzle is known with two famous names No Knight Step Sudoku and Anti Knight Sudoku. This Sudoku type appears in World Sudoku Championships and other International Sudoku Championship as an of these names. I am publishing two of the Sudoku for Anti Knight Sudoku type and assigning one Sudoku name No Knight Step Sudoku and another Sudoku name as Anti Knight Sudoku. 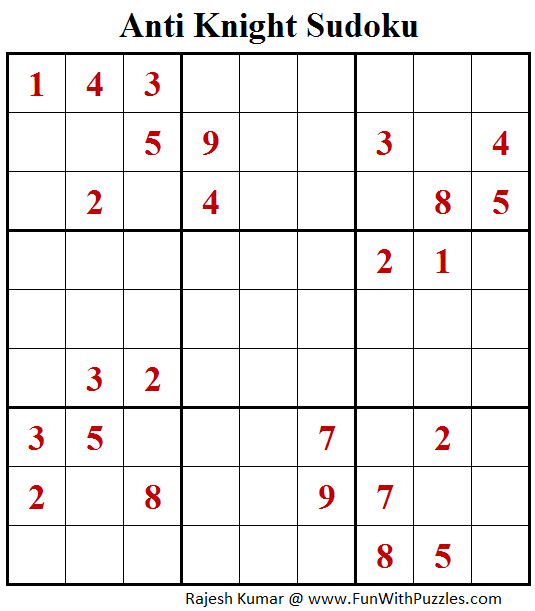 I am publishing these No Knight Step Sudoku puzzles as part of Fun With Sudoku Series. With this post, I want to say thanks to all the regular readers of this website as we have hit 8 millions page views today. These two Anti Knight Sudoku Puzzles I am publishing as #265 and #266th Sudoku puzzle in Fun With Sudoku Series. Here are the next are previous Sudoku puzzles published in this series. 7:41 and 5:46.I liked the first AK very much.A challenging one.